Produced to be lush and enjoyable upon release, the 2010 Decoy Sonoma County Cabernet Sauvignon has a seamless tannin structure, refreshing acidity and great length. 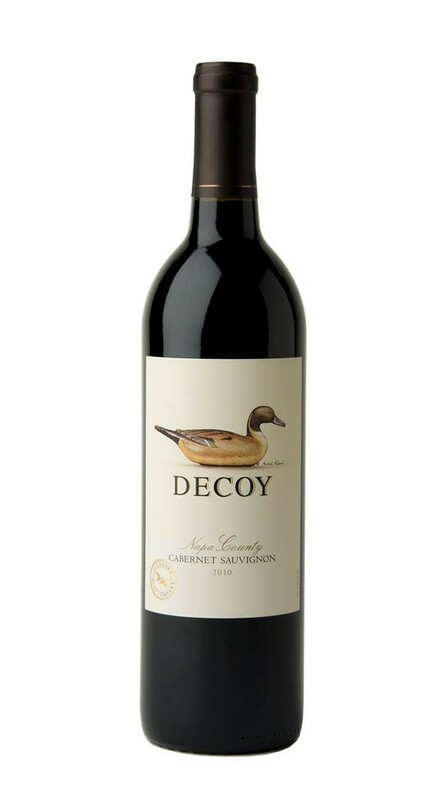 Produced to be lush and enjoyable upon release, the 2010 Decoy Cabernet Sauvignon has a seamless tannin structure, refreshing acidity and great length. In the nose, rich red and black fruit aromas are underscored by enticing oak-inspired notes of caramel, mocha and baking spices. These elements continue on the palate, which spotlights a rich core of blackberry and plum flavors. This is a mouthful of flavors with a berry finish. Your description is right on the mark and i will be drinking this wine many times in future. Good proce point for quality wine. Wow! My wife and I typically stay in the $13 - $18 / bottle price range for CA Cabs. We spent a bit more but this may become a new favorite. We are enjoying it with a Filet Mignon at home and a salad.